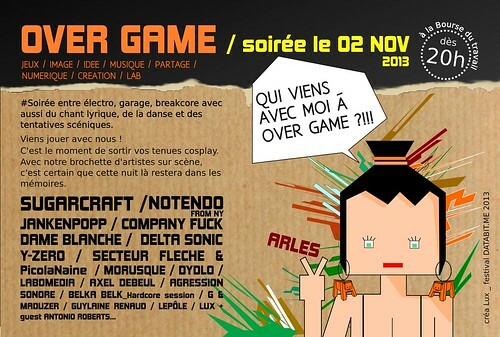 databit.me #3, the awesome festival in Arles, France that I took part in last year, started again on 23rd October. I’ll be there on 31st October for a small guest performance at the party on 2nd November. Myself and Axel Debeul will be creating a lot of funk, soul, noise and mess by utilising almost anything that makes any sound. If you happen to be in Arles you should check it out! And if you’re not in Arles already, go visit! It’s a beautiful place.